A view that can be seen on many Hamburg postcards, the view from Poggenmühlen-Brücke. Far in the distance the Elbphilharmonie is just visible. that is a stunning image! Oh, I love this shot and this area. 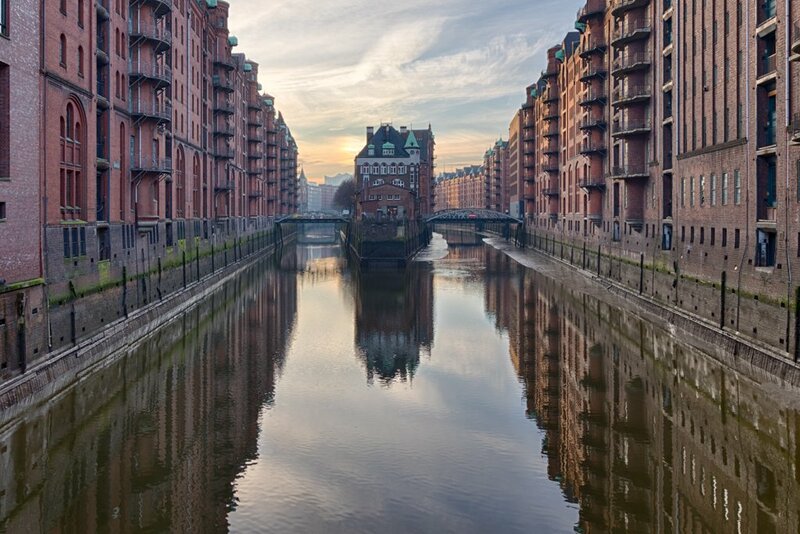 I could've spent days there when I was in Hamburg last year. WOW! What a great image and reflection! Instant fav.